PCE Instruments is your one stop shop for measuring instruments, test equipment, controls, scales and balances for industrial applications. Specialising in products certified to ISO standards, PCE offers certified measuring instruments for laboratory application, calibrated for ISO use. 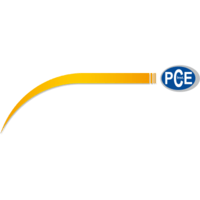 Focusing on three main product lines, PCE offers Measures, Control Systems and Scales. Exact measurement is an absolute must for anyone who wants to guarantee precise and first-class work. That is why the best measuring instruments are necessary. PCE offer a broad range of products from the field of measuring instruments including; various types of testing and measuring instruments, both handheld and desktop. PCE stock around 500 different types of quality tools capable of measuring various parameters in the physical, electrical and chemical spectrums. Whether you require monitoring, analysis, measurement or testing capabilities PCE have a solution. Big crane scales or vehicle scales are only some examples of products the PCE offer for industry measuring instruments. But not only big companies need measuring instruments. PCE also address individual customers with affordable solutions for daily problems. From microscopes for education or thermometers, which display more values than only the temperature, up to handheld anemometers which can be used to determine the wind speed when it comes to the hobby of sailing. PCE can also repair or calibrate your current measuring instruments to ensure prolonged measurement accuracy. Control systems are essential instruments in modern production processes. The compact displays of these control systems make possible a quick and easy view of diverse physical magnitudes, such as temperature, pressure, revolutions and standard process signals which can be found in any automated process. PCE Instruments offers a wide range of balances and scales: industrial balances, laboratory balances, precision balances, table top balances and many more. All of scales and balances possess the characteristics and performance necessary to take measurements quickly and safely, and they come with a 2 or 3 year guarantee depending on the model.